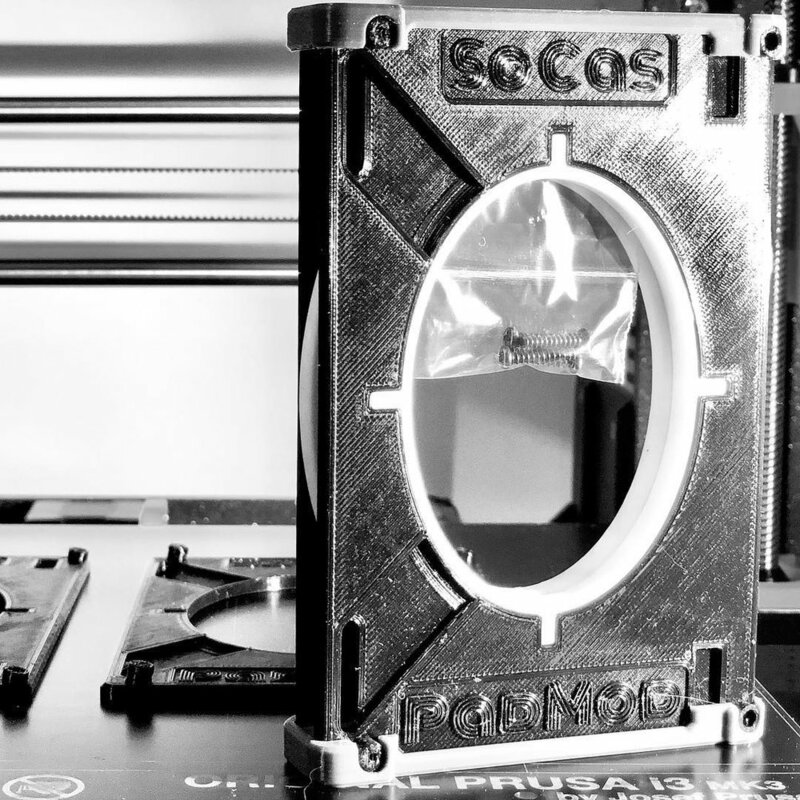 At SoCas3D we always strive to deliver our best possible product and service. One of our newer initiatives is a set of shipping cradles that mount top and bottom on each set of our Stax L series PadMod. These keep them well protected inside the package during shipping to our customers. New product released: PadMod for Sennheiser HD Series! The new PadMod for Sennheiser HD series is now available here on our website. There is a version for regularly hifi ear pads and one for Sony XB ear pads. Get both and save 5€! We are celebrating our 1st anniversary by offering our customers a 20% discount on any order. Use the promo code "ANNIVERSARY" at checkout to apply the 20% off. Discount ends 31-05-2018 at midnight. Remember - SoCas PadMods are only available at www.socas3d.com. The new year discounts end today at 23:59 (GMT+1). We have created an Instagram profile where you can get a glimpse of new products and everything SoCas. Check it out here. We are working on a new product for Stax SR207/SR507 - Get a sneak peak on our new Instagram profile. Thank you all for your support throughout 2017! Without you this would not be possible! We are looking into getting a new batch of XB earpads 500, 700 and 1000 in Q1 of 2018. For a limited time (January and February) you will be able to use discount codes to enable savings at checkout! Save €10.00 on any order over €80.00. Save €15.00 on any order over €130.00. For a limited time you will be able to use discount codes to enable savings at checkout! Save €5.00 on any order over €80.00. Save €10.00 on any order over €130.00. Now you are able to check out using paypal as well as credit card. New product released: The PadMod Spacer! Now you are able to buy our PadMod Spacer. It is designed for you guys who want to keep using the stock earpads, but have problems with your ear tip touching the grill on the inside of the Stax Earspeaker. The spacer simply increases the distance between the ear pad and the headphones by 12mm (0.47 inches). If you want to request custom depth spacers, use the contact form here to let us know.